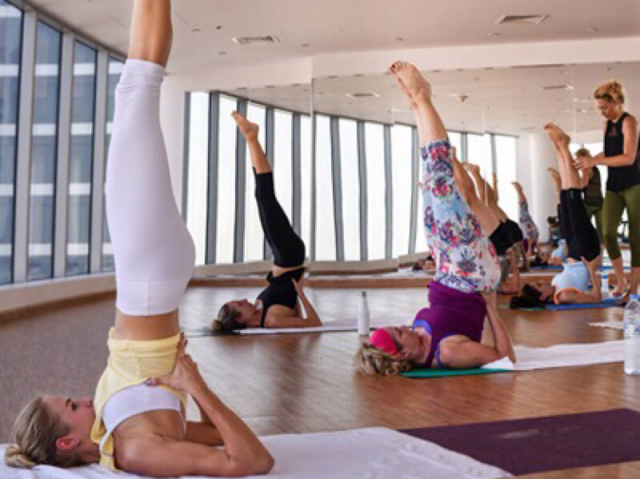 Dryp Yoga is the latest addition to hot yoga studios in Dubai. They offer a variety of classes including the original 90-min Bikram yoga Dubai class, a 60-min express Bikram class and Hot Yoga Sculpt – a fun 60-min hot yoga class that will have you squatting, lunging and weightlifting to awesome beats. Even at 40 degrees, this studio still looks super cool! 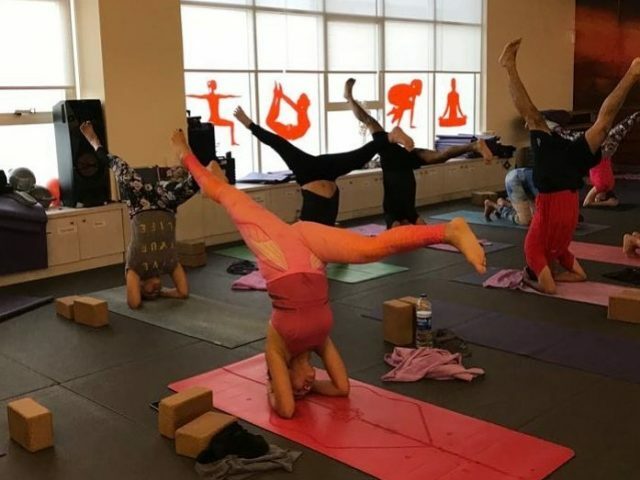 Bay Yoga is one of our favourite hot yoga studios in Dubai – not only because of all the super friendly yoga instructors, but the studio also offers a variety of hot yoga classes in Dubai! They’ve got hot Vinyasa yoga, traditional Bikram yoga, hot Yin yoga and even a hot pilates class! This yoga studio in Dubai offers standard and express Bikram yoga classes, hot Absolute yoga, hot Vinyasa flow and hot Voyoga flow (similar to Bikram, but with a twist). If you’re trying out a hot yoga class at Voyoga, we suggest booking one of Victoria’s classes – shes’s one of the coolest instructors we’ve met! This studio is perfect for yogis who practice Bikram yoga regularly. Bikram Yoga Me offers two signature yoga classes in Dubai – a standard 90-min Bikram yoga class and a 60-min Bikram yoga ‘Power Hour’ class. If you’re looking for a studio that offers a variety of hot yoga Dubai classes, check out Inspire Yoga & Pilates! This friendly family-run studio has 5 yoga classes in a heated room, including Hot Yoga A (a 90-min beginners class – this is not Bikram yoga), Hot Express (a challenging 45 or 60-min hot yoga class), Warm Core & Sculpt (a high-intensity Vinyasa-style class), Warm Hatha and Warm Yin Yang yoga.